Got a lot of painted plastic on that nice GT of your's, right? 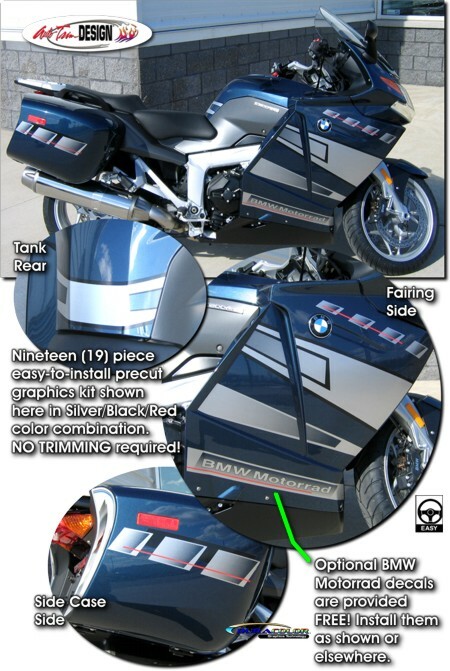 Break it up and set yourself apart with our awesome nineteen (19) piece graphics kit (includes two  BMW Motorrad decals provided at no charge). Note: Upper fairing pieces may need to be trimmed slightly for K 1300 GT fitment.